The Cessna Caravan always needed more power, and competition to provide it was established with the supplemental type certificate (STC) awarded in 2013 to Blackhawk Modifications to install the 850-shp Pratt & Whitney Canada PT6-42A in the short-fuselage 208A model as the XP42A. Based in Waialua, Hawaii, Skydive Hawaii is using the upgraded, 14-passenger “short” Caravan for high-altitude, low-opening jump flights. 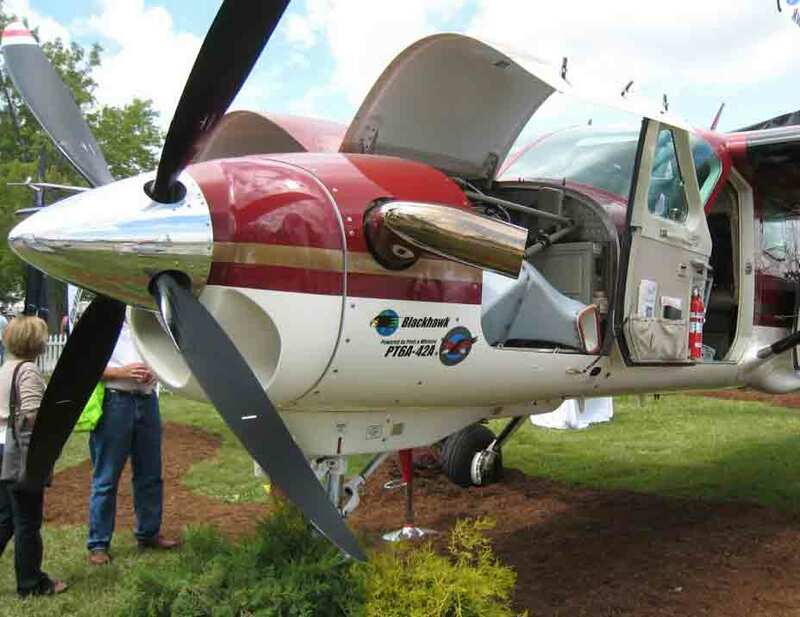 The XP42A upgrade replaces the 208A’s original 675-shp Pratt & Whitney Canada PT6A-114A. Blackhawk began offering the XP42A upgrade on the longer 208B Grand Caravan in 2011. 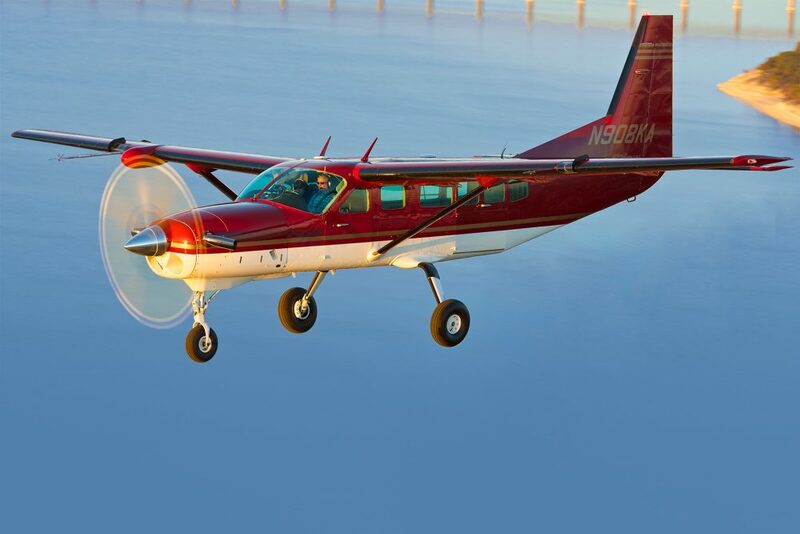 Texas Turbine Conversions offers the 900-shp Honeywell TPE331 engine as an STC modification to both the Caravan 208A and the long-fuselage 208B Grand Caravan. It chose that engine, it says, for superior fuel specifics, faster power response, higher base TBO, and lower operating cost per horsepower. It has sold more than 50 worldwide. Seeing the demand in the aftermarket for more power, Cessna in 2013 introduced the higher-powered Grand Caravan EX with an 867-shp Pratt & Whitney Canada PT6A-140. Blackhawk’s XP42A Caravan conversion on show at AirVenture. Multiply your power and your revenue generation capability with the Blackhawk Vx Engine+ Upgrade. Blackhawk makes it easy, with a quick, ultra-cost-effective installation that delivers value, performance, and enough power to impress any pilot. Replace your tired 600/675 horsepower PT6A-114/114A engine with a factory-new PT6A-42A powerplant for like-new levels of performance and load carrying capabilities. First it was a turboprop, now it’s a Blackhawk.